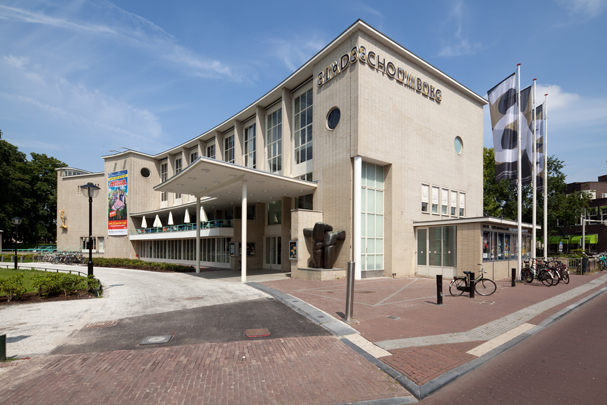 This city theatre is one of Dudok's less appreciated efforts. Its beefy fly tower on the water is countered by a daintier curved wing added later on the entrance side. In 1988 it was elected to renovate the building, retaining its original function. In 1996, three years after carrying out an initial internal phase, architect Erik Knippers wrapped the original fly tower in a new transparent skin expanding it both upwards and across. By opting for a respectful contrast with the original building, Knippers has achieved a meaningful dynamic between old and new.